My mother is no longer living, but I remember that it was always difficult to find anything to give her for a gift. Perfume made her sneeze; flowers in the house made my father sneeze. She always told us that she had enough stuff. Of course, stuff is easy to find and buy for a gift so, without resorting to stuff, what’s left? She did allow us some openings for gift ideas that she would enjoy. Her words: “If I can’t eat it, read it, or wear it, I don’t want it.” Clear enough. The best Mother’s day for me has always been to spend it with my daughter and, now that she’s here, my granddaughter. We are planning a picnic. I can’t think of many things I want to do more than that. So, if your mother is in the eat it, read it or wear it category, here’s something to try. I may make some for myself. They’re truly tasty. Mix 4 cups flour, the baking powder, salt, and ¼ cup sugar in a large bowl. Melt ¼ cup butter. Add eggs, milk, melted butter and almond extract to dry ingredients. Mix until moistened. Batter will be lumpy. Fill muffin cups 1/3 full. Put 2 generous spoonfuls of the cherry pie filling (5 to 7 cherries) in each cup. 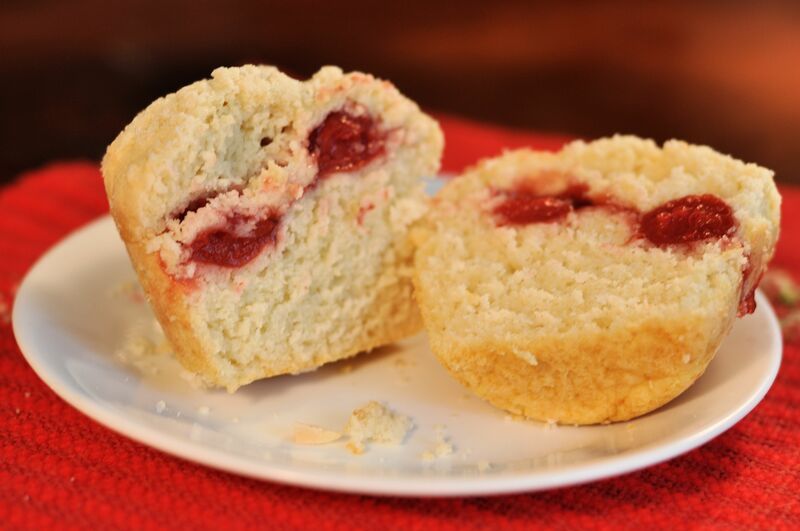 Top cherry filling with remaining batter until cups are ¾ full. To make the streusel topping, mix ¼ cup sugar with ¼ cup flour. Cut in ¼ cup cold butter until the mixture is crumbly. Stir in the chopped almonds. Sprinkle the topping over the muffin batter. Bake 20 to 25 minutes until the streusel is golden brown. Posted on May 8, 2015 May 8, 2015 by Twain FarePosted in Food, RecipesTagged food, Mother's Day, muffins, recipes.